SnapGardeners provides a guaranteed success to your landscape and gardening needs and wants. Click here for a letter from the Owner and the Vice President of Gardeners' Guild. 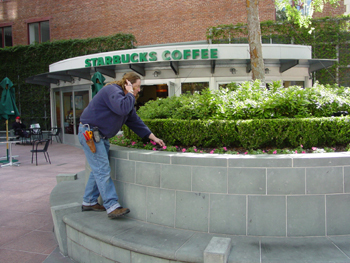 Inc.
GGI, Ghiradelli Square, and Karen Harrison were "ALCA Envoronmental Award Recipients" in 2002 for Outstanding Maintenance. We provide Landscape Design, Installations & Maintenance both Residential and Commercial, Interior and Exterior. We also do cleanup and lawn care. To submit a request for a bid please click here to go to the online form. Proof of insurance available upon request.